So you have the results calculated in Part 1, what now? You know what range you want to shoot at, 680 yards. Now take out your ballistics table. This data is not for any existing bullet. I made it up for illustration purposes! The drop at 600 yards is -60.5. Add to that 8/10 of the difference between drop at 600 and drop at 700. My scope as 1/4 MOA clicks. So to know how many clicks to apply, I must know how many MOA 96" is at 680 yards. So I will rotate my elevation turret 56 clicks up. Half a click is not possible (!). Note: 8/10 of the difference between drop at 600 and drop at 700 was used to estimate the bullet drop at 680 yards. This is a quick estimation technique. The real value requires much more complicated calculations, but this method gives close enough values. Wind drift is proportional. The wind here is 9.64 mph. And my table is for 5 mph. 9.64 mph / 5 mph is 1.9. Therefore I can calculate the drift value based on the table, and multiply it by 1.9. So I will turn my windate turret by 15 clicks (.4 clicks is not possible!) left. 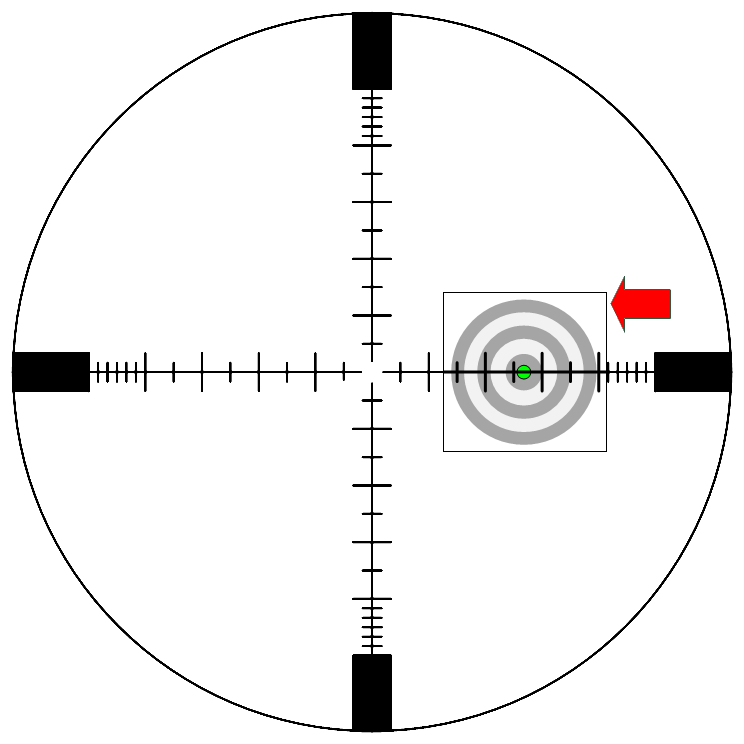 The target moves from the right to the left. When it reaches the 2.55 mils point, send it.